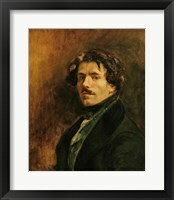 Eugene Delacroix was born in France in 1798. 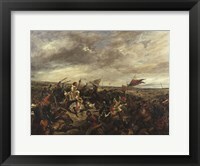 He was born to Charles-Maurice de Talleyrand-Perigord, a statesman. 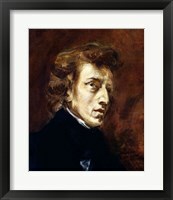 Being born into an artistic family, he was able to develop his own artistic and musical passions and at the age of 17. 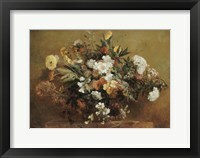 Later on, he learnt art under the tutelage of Baron Pierre-Narcisse Guerin. 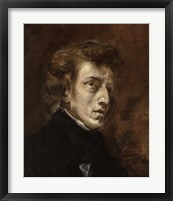 Delacroix’s early years were influenced by polish composer and pianist Frederic Chopin as well as by fellow Romantic artists. 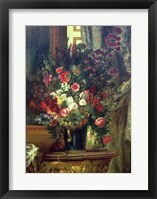 At the age of 24, he was put in charge of architectural decorations from another statesman called Adolphe Theirs. 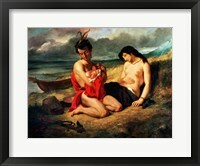 Delacroix worked from strength to strength building his career. 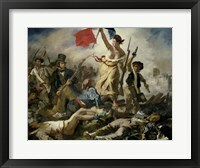 He was greatly favored by the critics of his day and received continual commissions from the French government. 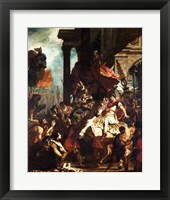 His intense passion for bright colors and the violent nature of his subject matter changed the art world forever. 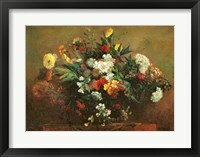 He had a unique technique of painting that had a lasting impact on subsequent generations including the Impressionist and Post-Impressionist movements. 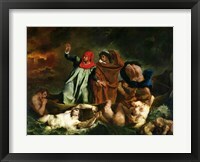 Delacroix created and exhibited his first masterpiece “Dante and Vigil in Hell” which is said to have contributed to the development of the Romantic Movement. 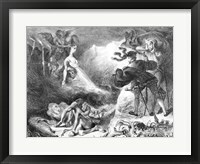 The piece was inspired by Dante’s Divine Comedy. 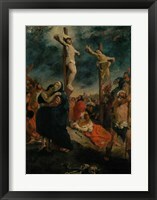 Early on, Delacroix’s work reflected the influence of Peter Paul Ruben's color genius and Michelangelo's modeled figures. 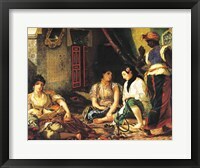 Delacroix continued to paint under the influence of works by Lord Byron, Shakespeare, and Dante. 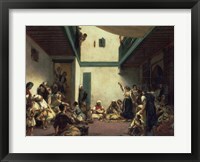 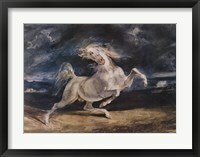 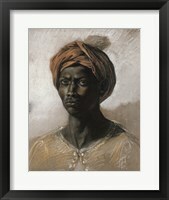 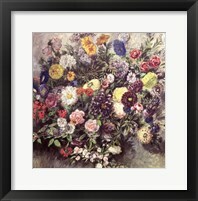 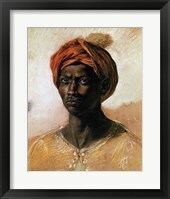 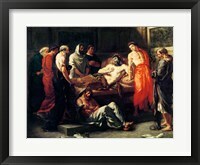 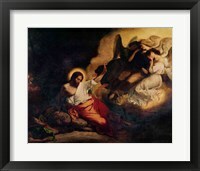 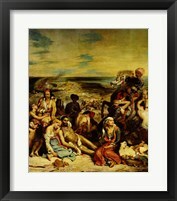 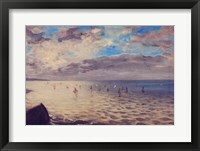 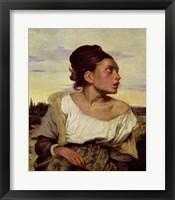 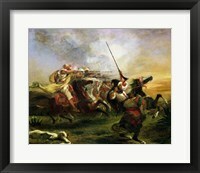 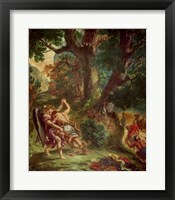 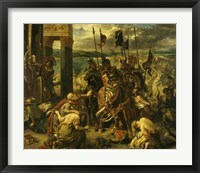 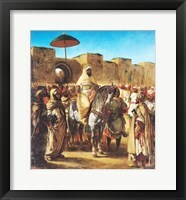 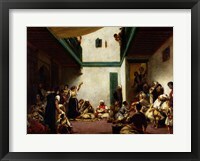 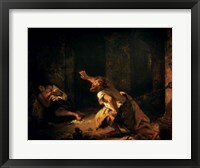 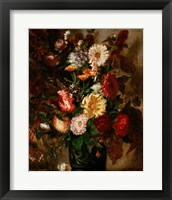 Framed Eugene Delacroix art can be found in many art galleries and museums around the world. 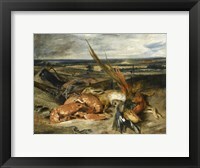 They can also be found with many public and private collectors. 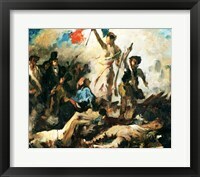 Delacroix died in France in 1863 and left behind thousands of drawings, prints and watercolors as well as a legacy that forever changed the art world.